Old Bank House has been serving Leighton Buzzard and Milton Keynes since it was established by husband and wife team Neil and Reinet Du Preez in 1996. Our experienced and friendly dental team is looking forward to welcoming you to our practice. Our approach focuses on preventative care to look after the teeth nature gave you. We always discuss treatment options openly and fully and keep you informed at every stage of your treatment, enabling you to remain in control at all times. We are used to making nervous patients feel completely at ease and always aim to perform treatments in a way which minimises any discomfort. 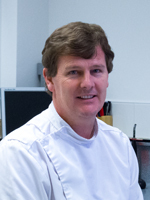 Neil has been practicing as a dentist in Bedfordshire since qualifying at Stellenbosch University in South Africa in 1990. His special interest in dental implants has seen him undertake specialised training in implant procedures in both Europe and the USA. Neil is also a qualified trainer for CEREC, an advanced digital system for performing porcelain tooth restoration. Neil’s vocation for becoming a dentist comes from an early interest in the fine motor skills and technical challenges involved in the profession. In fact, by his own admission, had Neil not become a dentist he would have most probably become a watch maker ! It’s the combination of being with people and the satisfaction of doing something well, starting with a problem and ending up with a pleasing result for the patient which really drives his passion for his work. After obtaining a BsC degree in 1987, Reinet qualified at Stellenbosch University in South Africa in 1991. She has been practicing as a dentist in Bedfordshire for the last 23 year, establishing Old Bank House Dental Practice with Neil in 1996. With a father as a dentist and two daughters studying dentistry at university, you could say that dentistry truly runs in the family! If the combination of the science involved in the profession and the precision required are the things which attracted her to becoming a dentist in the first place, it’s her genuine interest in people which drives a continuing passion for the job. In fact, the ability to spend more time with each individual patient was a significant contributor in deciding to set up a private practice in the first instance. Reinet’s special interests include teeth whitening and CEREC advanced tooth restoration as well as full mouth restoration, a form of treatment using crowns to restore bite and cosmetic appearance for patients whose teeth have been eroded over the years. Neil and Reinet are very ably supported by a friendly and professional team of three fully qualified dental nurses. Mariya, who has been with the practice for 8 years and Lizz, who has been with the practice for 5 years assist with dental implant procedures, teeth whitening, CEREC restorations and other general dental treatment. Roseann, who recently joined our team, assists Reinet with teeth whitening, CEREC restorations and other general dental treatment. Roseann is a qualified dental nurse with 5 years experience, her particular speciality is Cosmetic Dentistry. Tracy is the person who’s smiling face you are most likely to see first when you visit the practice. Our longest serving team member, her primary responsibility is to welcome our patients to the surgery. 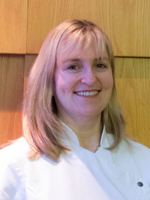 As a fully qualified dental nurse, Tracy is well placed to understand the needs of our patients and accommodate their treatment needs in a friendly and efficient manner. Maxine, one of our very first members of staff, has returned to the practice part time as part of our reception team.